Overwatch League scrims put the Overwatch community in fits Saturday, as fans were disappointed to see the league's players goof off during show matches rather than play their hardest. 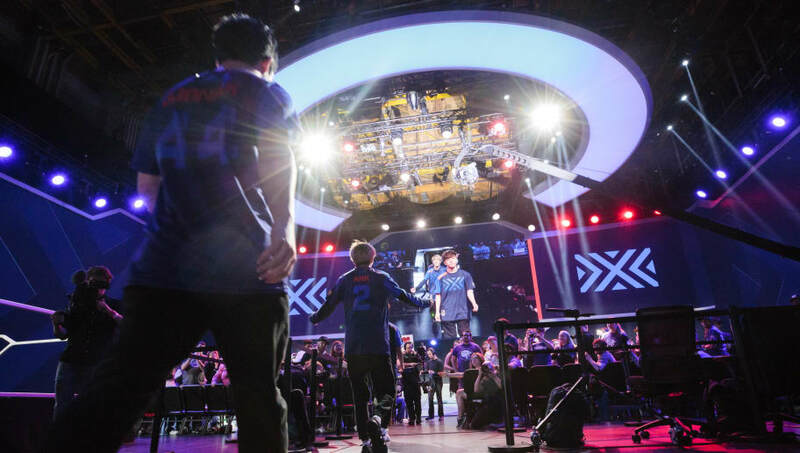 The offending show matches were the first component of an event called the Community Countdown scheduled to bring a preview of ​Overwatch League Season 2 competition. Each day until the start of the season would have teams facing off either in standard scrimmages or with special rules. Instead of taking the preseason games seriously, teams chose to run joke compositions such as all-DPS. Players rarely played their usual positions, leading to sloppy gameplay far below the usual Overwatch League standard. The teams' lackadaisical approach split the community. Some, such as Overwatch League caster Christopher "MonteCristo" Mykles, defended their decision to hide their strategies for prime time. Others, including league commissioner Nate Nanzer, called the play a disappointing. "You the fans are why we do this and why we have jobs," Nanzer wrote on Twitter. "Sorry to let you down today." Nanzer also announced that, moving forward, the rest of the show matches will be played with Mystery Heroes rather than standard Overwatch League rules. The Overwatch Community Countdown continues Sunday beginning with scrims at 3 p.m. ET.